Once again, browsing through a magazine I found a recipe I liked. Of course you already know I did not have all the ingredients. So yes, I improvised and added a lot more spice/herbs than the original had. The original was really bland when I tasted it, so I added more. The recipe below indicates how much I used. I love minestrone anyway but shock, had no kidney beans (except dry which would take hours to cook) and no white/cannelloni beans either. HOW did that happen? Oh well, I had just cooked a big pot of lentils the day before. 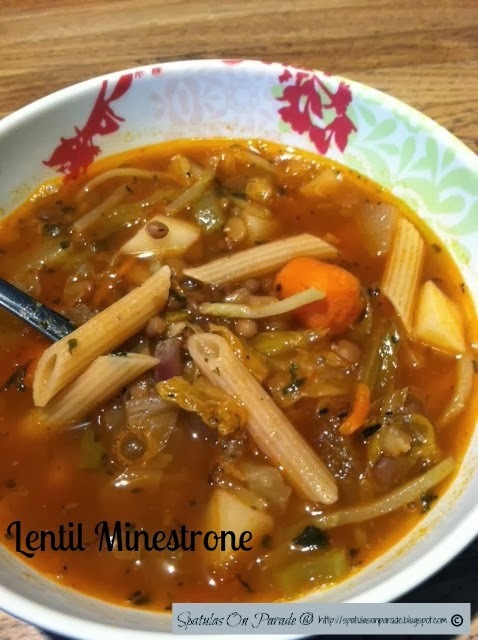 I have several recipes I wanted to fix and so I cooked the lentils to 'almost' done so that when I add them to the recipes they do not become mush and no chemicals from a can :) Smart, yes? Yes. I decided that instead of not fixing the recipe I wanted, I would just substitute the lentils for the other beans. Of course there were other substitutions as well. It called for green cabbage and I used Napa. It called for fresh garlic and I used powdered. It called for spinach and I had none. 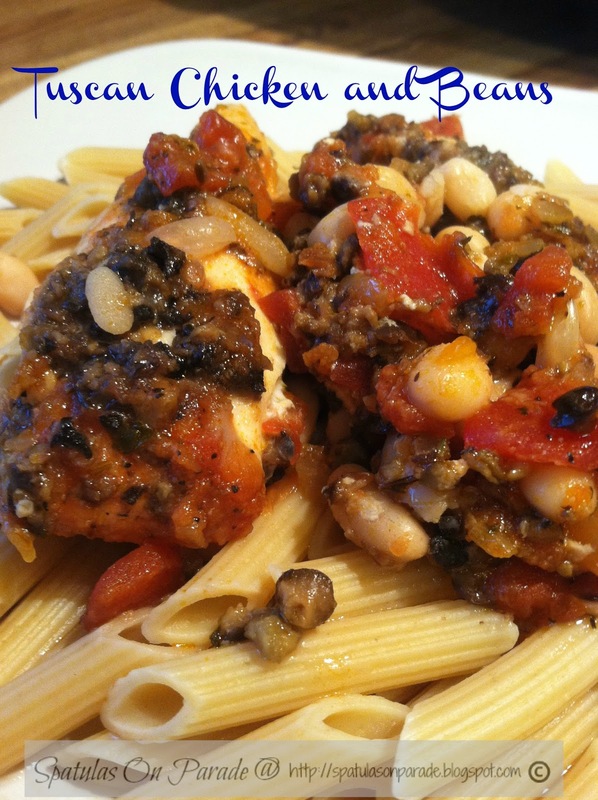 Here is the recipe and photo, it was really good, filling and my husband did not complain that there was "no meat" LOL when I say "no meat" I always think of My Big Fat Greek Wedding! makes me laugh every time. I served this with a soft oatmeal bread, toasted with a little butter. No salad but you could if you want. The soup is loaded with fresh vegetables and full of nutrition all on its own. This soup took longer than most of my meals. 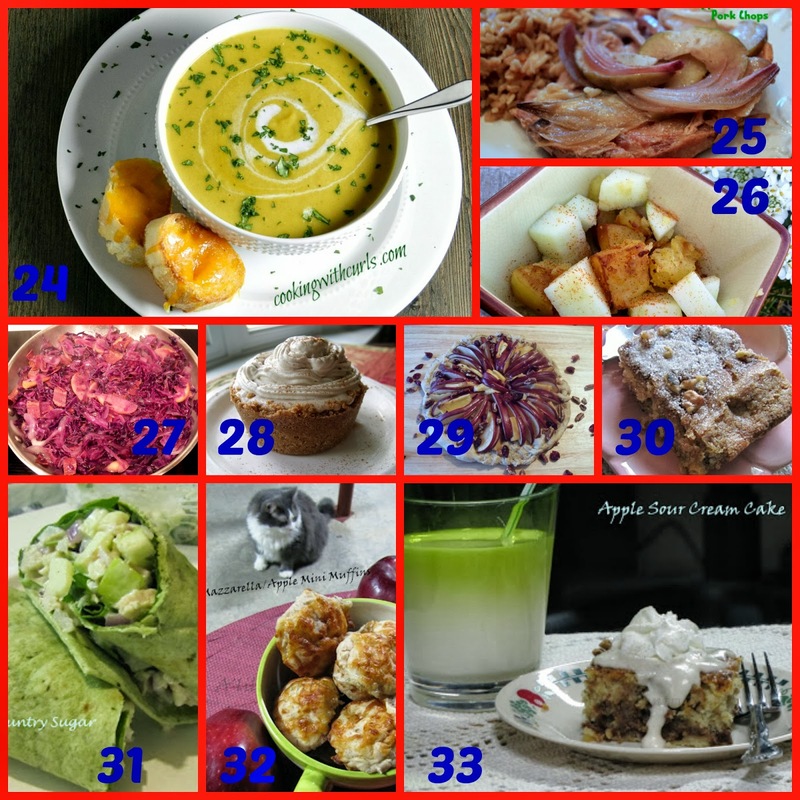 I try to keep everything under 30 minutes, a lot of times under 20 unless it is a slow cooker dish. This took a total of 45 minutes to prepare but was worth it. We had the leftovers the next day for lunch. I just added a little more broth to it, heated it up and DONE! Cost vary depending on where you live but it cost me $4.15 to make this soup. Makes 10-12 bowls depending on your bowl size. That means this is about 42 cent per serving. Now THAT is a deal!! If using dry beans, soak and cook them the night before. If using can, rinse and drain well. Dice all your vegetables and pull all your spices needed off the shelf. It makes for faster and easier cooking when all ingredients are within reach on the counter. In a large pot over medium heat, add your oil and onion. Cook 8-10 minutes until tender. Stir in your tomato paste and spices. Add your other vegetables(except the cabbage). Cook about 1 minute. Add a cup of water to help sweat the vegetables. Cook the vegetables and spices for 10 minutes, add your water and broth. Cook this for 10-12 minutes. Meanwhile cook your pasta and drain. You will add the pasta near the end. Add your lentils and cabbage. Cook another 10 minutes. Add the cooked pasta and cook for 3 minutes or until heated through. 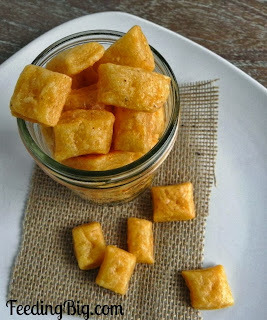 Serve with bread and top with Parmesan cheese if you desire. We did not. Week 25 and just 2 days from October. Are you gearing up for Halloween? 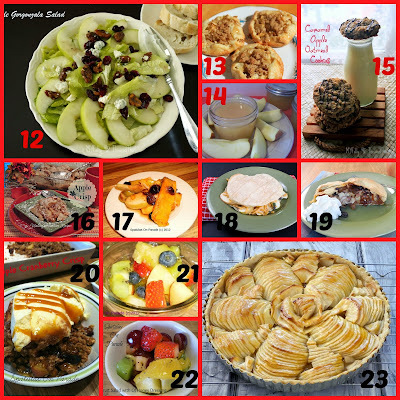 Thinking about Thanksgiving, your menu, shopping list and let's not forget Christmas. Now less than 3 months away! YIKES, have you started shopping yet? Do you have your list written up? How about Christmas cards? Do you still do them? How about we party and forget all the "to do" list for right now? Sounds like a plan to me. Our TOP 3 just keeps getting better and better. You should all be top 3 but that's not possible. Some have asked, and I've mentioned before, I DO NOT choose the TOP 3, if you are familiar with inlinkz, you can edit and it will give you the links in order of which ones were viewed the most. That is how I do it. No way I want to choose, it is hard enough picking 1 favorite and a creative link. So what do you have for me this week? Fall foods, comfort foods, soups, stews...that's what I'm thinking. So go ahead and link those up. Visit a friend or two, leave a comment, go pin crazy. You know you will and come back on Tuesday to see who was chosen from this great link party to be TOP 3, Host favorite and most creative. From time to time I'll get an email from someone asking if I ever have guest post. Well of course I do. 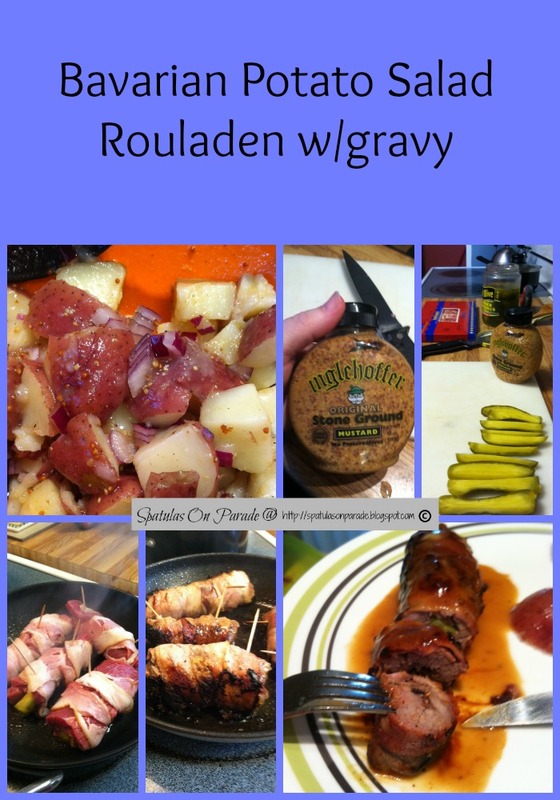 So today Meredith is sharing a great recipe with you. This would be perfect as a side dish or even a main served with a salad. I'm thinking it might even be nice for the holidays. Thank you Meredith. As we head out of summer and into fall, most of us have finally gotten our fill of burgers, watermelon and corn and are ready for some heartier soups, stews and easy chili recipes. Lucky for us, fall definitely delivers when it comes to delicious seasonal food. While pumpkin, apples and sweet potatoes are some of autumn’s more iconic produce, don’t forget about another healthy fall favorite: squash! Squash is high in good-for-you carotenoids, and although it’s considered a starchy vegetable, its starchiness actually provides lots of good health benefits and exhibits antioxidant, anti-inflammatory and insulin-regulating properties that can help keep you healthy. There are dozens of ways to prepare squash, too; puree it, roast it, sauté it, or even use it as replacement for noodles. Get creative this fall and find what style of squash you love most—the possibilities for cooking with it are endless. 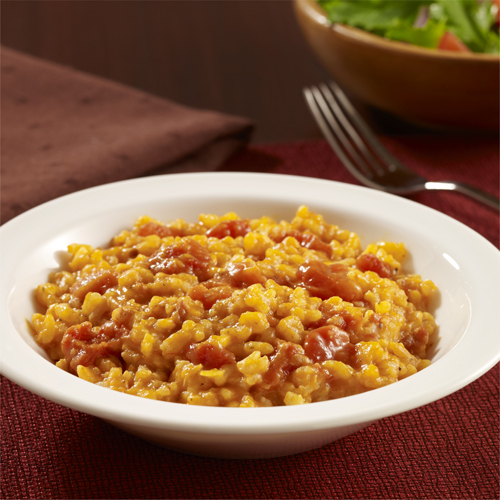 This hearty risotto with squash and bacon is the perfect way to enjoy squash this fall. Because it’s served pureed with tomatoes, chicken broth and a little bit of cheese, this dish has that creamy consistency we all crave during the cooler weather without being loaded down by sodium-heavy soups or higher-fat whipping and sour creams. Plus, because it only takes 15 minutes of actual hands-on work, this is one of those easy recipes for dinner you’ll barely have to think about. Try it out in coming weeks and enjoy squash while it’s in season! Preheat oven to 400°F. Cook squash in the microwave according to package directions (feel free to roast and puree your own squash, as well—this method will save you time on busy nights, though!). Meanwhile, heat oil in a large skillet over medium-high heat. Add rice and bacon; cook for 3 minutes or until rice is lightly browned, stirring frequently. Add onion to skillet and cook for 2 minutes more or until onion is tender. Transfer rice mixture to a 2½ quart baking dish. Add squash, undrained tomatoes and broth to baking dish; stir to combine. Cover and bake for 45 minutes or until rice is tender. Remove from oven; stir in cheese. Cover and let stand 5 minutes before serving. Author Bio: This is a guest post by Meredith K. on behalf of ReadySetEat. 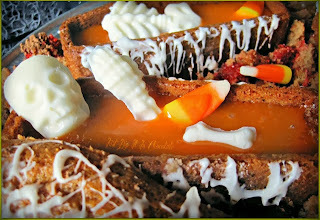 Visit www.readyseteat.com for more delicious dinner ideas to make this fall. I love Fall! Apples, pumpkins, cool weather, bon fires, hot cocoa, hot tea, cider, sweaters, crunchy leaves under my feet, sleeping with the windows open...ahh. Fall and apples, falling apples, LOL get it? Okay, it sounded funny in my head, maybe I should have kept it there. So, in the Fall do you pick apples? Do you buy them by the bushel? We have friends and family that go to the mountains every Fall just to see the changing of the leaves and to buy apples. I love getting fresh mountain apples. Now what to do with them when you get them all. EAT them. Make apple butter, apple jelly, pies, cakes, and so many other things. You are probably thinking, gosh what is she fixing now. I've been on an International kick lately. Mexican, Italian, German, Asian, well today it is Tuscan. Mediterranean/Greek/Italian of sorts. I seem to rarely have ALL the ingredients of these great recipes, so improvising is my way of life. I've pretty much always done that. That and just throwing in what looks and sounds good at the time. With about a 98% husband approval rate over the last 24 years, so not too bad. This is a great dish because it involves little to no involvement so if you have a busy day, toss it in the crock pot and walk away. Now who doesn't love that? In the slow cooker place the onion and garlic in the bottom. You might want to oil it first. Season chicken on both sides with thyme, pepper and Greek seasoning if you are using it. Place on top of the onions. Drizzle with lemon juice and zest. Top with the olive, tomato and bruchetta mix. Place the lid on and cook on low for 6 hours, if the chicken is thicker pieces or whole/bone in, cook on high. Serve over orzo, couscous or pasta. *Magazine suggestion - to change it up, use lamb instead of chicken, regular diced tomatoes instead of fire roasted and mint in the place of oregano. I am a foodie, a lover of food and as such I love to look at recipes online, in magazines and cookbooks. However, do not hand me a cookbook that has no pictures! I hate that. I am a visual learner and as such I need to "see" it. If I can see the photo and you tell me what you call it, chances are I can make it without an ingredient list. It is a blessing and one my husband enjoys. I very seldom if ever follow a recipe to a T unless it is baking. 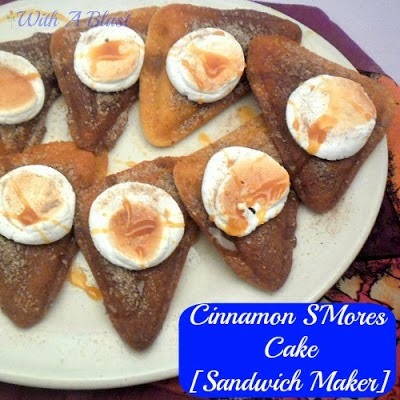 Then I will follow it the first time, making a few adjustments in sugar amounts or flavorings but you can count on it, that if I make it again, it will have my twist to it. Now the ones in the magazine looked and sounded fantastic, I just didn't have the exact same ingredients. So I improvised. This is what true cooking is to me. Looking at a recipe and then making it your own. Or maybe it is my rebellious nature that doesn't like to 'follow the rules' or the fact that I WILL color outside the lines. Either way, they turned out GREAT and I will be making them again. So my reply was "Korean Tacos"
"WHAT?" Oh never mind I'm not even going to ask I'm too tired"
He said, "really, you're going to put Korean food IN a taco?" So I got busy. Honestly, the whole thing took me about 20 minutes from start to finish. I LOVE that even more. In a large bowl, whisk together vinegar, red pepper flake and 2 tsp soy sauce. Add the cabbage and broccoli slaw. Toss well and let sit while you cook. In a large skillet over medium heat cook your ground chuck, just before it is cooked through, add your onions. And mix up your sauce - brown sugar, garlic, ginger, oil and soy sauce. Mix well and pour over the meat. Mix well. In a dry skillet, toast your tortillas on both sides. 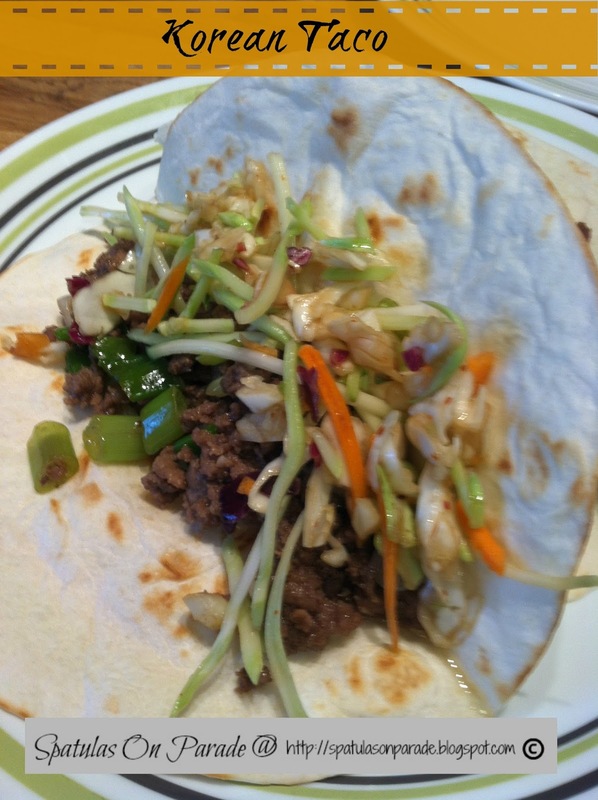 Spoon in the meat mixture and top with the slaw. Serve immediately. Here we are with another week of TOP 3, Host Favorite and Most Creative. You ladies absolutely amaze me! Creativity is oozing out of ya'll I swear it is. Your Fall Favorites did not disappoint. If you missed it, find them HERE and if you would like to follow me and see them all on Pinterest, follow THIS board. Let's just jump right in. 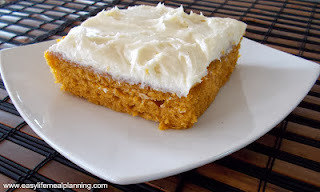 Terri over at Easy Life has her "no fail" pumpkin bars. 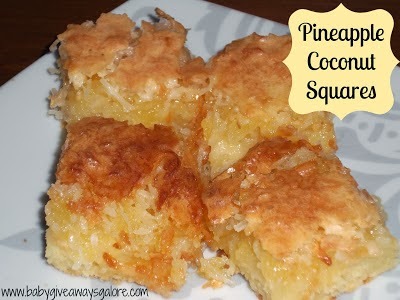 I love having a dessert that always works and is quick and easy. 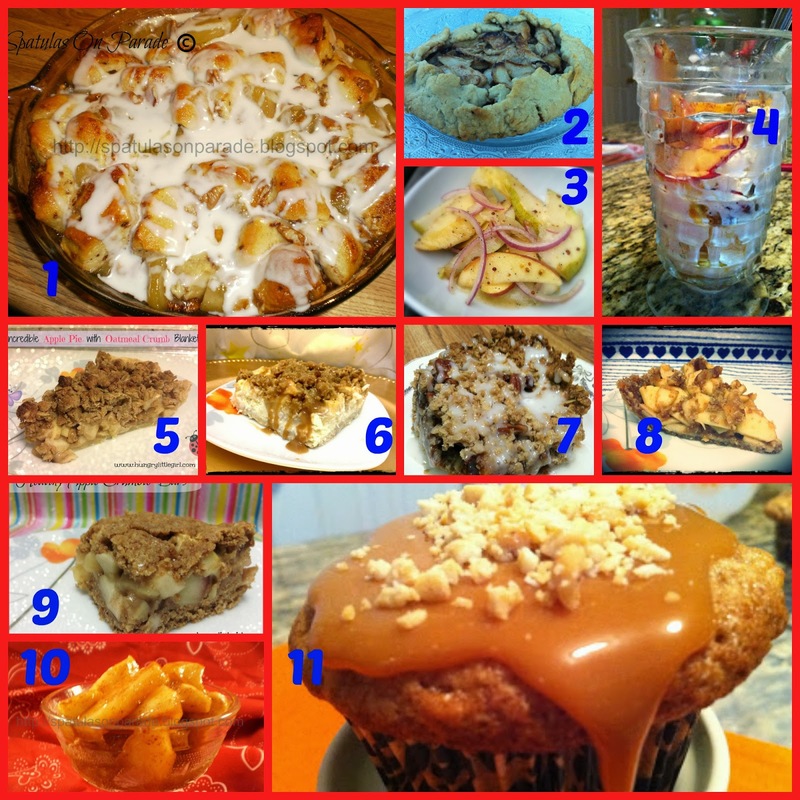 Kristen at Baby Give Away is one of the newest to join us for Swap N Share Sunday and it seems you liked her recipes. Way to go Kristen. Linda at With A Blast shares her sandwich, cake, french toast sort of dessert. I love all the great flavors in this recipe. Well, good gracious! If I had HALF the creativity in my entire body that Liz has in her little finger I'd be dangerous! A carrot cake coffin for the candy bones swimming in death candy corn! You have GOT to be kidding me?!?! Karen at Baking in a Tornado shows us how to make simple "bones" out of meringue How cool, great idea and WHY did I not think of that?! hence the honorable mention. Need some help kick starting your Monday? How about let's do it with a link party. Mouth Watering Monday!! Sounds like a plan to me! My recipe for Monday is a meatless one. Actually we had it for Sunday lunch but you could do it tonight. It takes less than 20 minutes to prepare and if you add a salad you are done and can prop your feet up in record time! You know, since I don't have cable or satellite I don't get to watch FoodTV or other cooking channels. This is one thing I miss. However, I do get PBS which I love, it is educational and they have started carrying more cooking shows. One I love, when I can remember it is on, is Lidia's Italy. She is the mom to Joe, one of the chefs/host of Master Chef. She of course is Italian and has her dear mom on the show at the end to taste it all. She cracks me up! Lidia really educates you about the regions in Italy, where the food comes from, how it is grown, processed and cooked. That was one of the reason I watched this particular episode. She was talking about capers, the different ones, sizes, flavors and how they are grown. Very interesting. I'm much more into "facts and history" than when I was in school. haha sad but true. I was watching a few weeks ago and saw this recipe. I did not look it up and just made it from the memory I had of what she used. I know she did not use sun-dried tomatoes but I added them anyway. If you want her recipe you can look it up but this is what I did. Oh and my 'meatarian' husband loved it! He likes capers, he did not know this until I made chicken piccata not that long ago. Add this to the skillet and saute until the onion becomes translucent. Add more oil if needed. While the onion is cooking, fill a pot with water, add 1 tsp salt and boil your spaghetti. I used thin spaghetti because it is what I prefer. I also use Barilla Plus due to it being loaded with Omega's and protein. At the half way point of cooking the pasta, toss in the sun-dried tomatoes. Take 1 ladle of pasta water and add to the onion. Also, add in the drained capers and diced tomatoes. Stir well. Add more oil if needed, you want it wet but not standing. 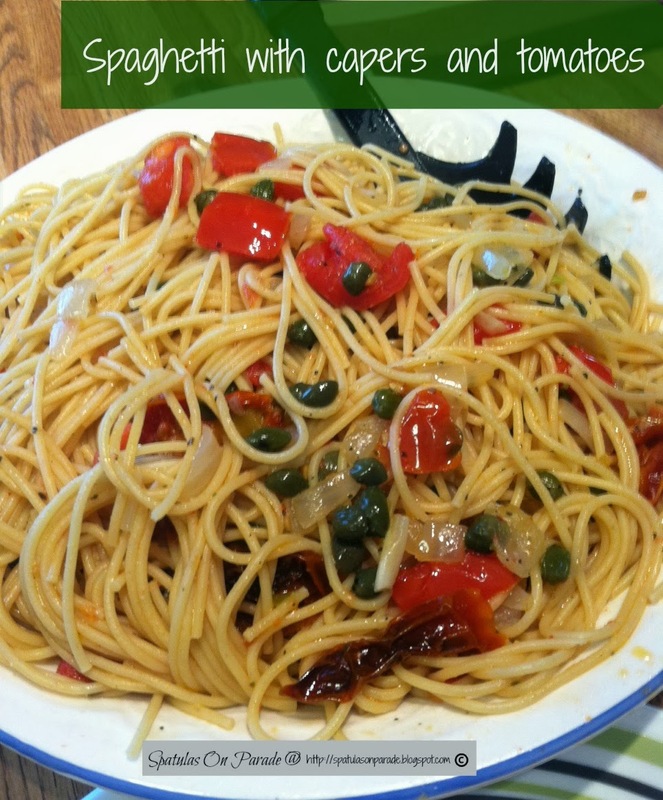 Drain the pasta and add to the capers and tomatoes. Mix well. Serve hot topped with Parmesan cheese. Add a side salad and you have a great vegetarian or meatless Monday meal. We had ours for Sunday lunch. WOW this is my 444th post! Good gracious...didn't I just have 300? I lost track. Made out my menu for this week, wrote a grocery list and hit the store. Cleaned my kitchen counters, baked some cookies, reorganized (again) two of my cabinets, commented on a bunch of blogs, cooked lunch and am about to go cook supper. Theme this week: FALL Favorites, cookies, stews, bread, whatever is your favorite to fix come Fall. Is there something you have just been waiting for? Show us! So the other night I made this great stir fry and just as it was finishing up I realized I had forgotten to prepare the rice or noodles. Darn, it was ready, now what? Then I remembered I had these bags of Tasty Bite products. There was one for Thai Lime Rice. Well, I did fix a stir fry and even though I did not use those flavors I thought what the heck. These bags pop in your microwave and are done in 90 seconds. Perfect for when you are in a rush to get dinner on the table. 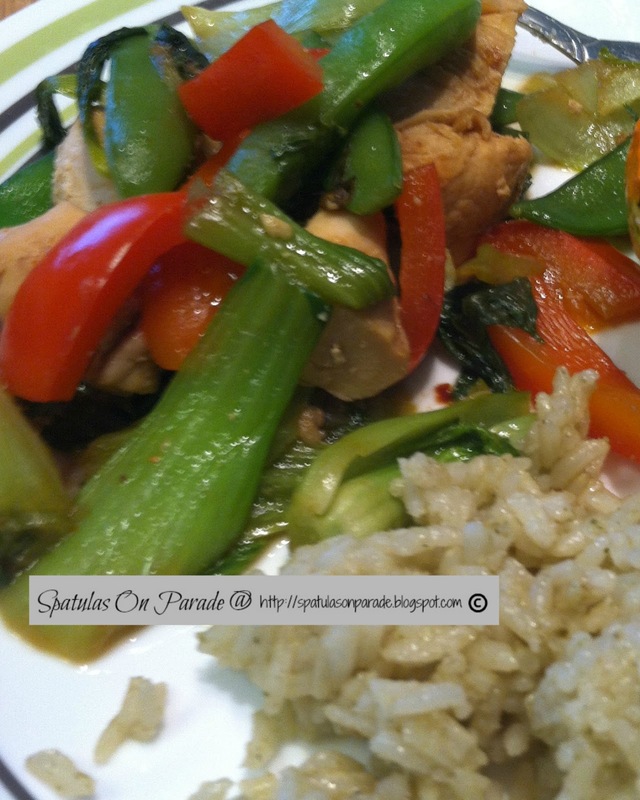 It was a great compliment to our stir fry. Plus super easy. They have many different options. I received Asian and Indian quick fix meal companions. Pad Thai Noodles, Thai Lime Rice, Kung Pao, Ginger Lentil Rice, Madras Lentils and Channa Masala. 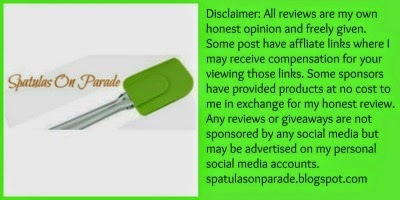 #ad #sponsor : This post is written with my own honest and unbiased opinion, I was not compensated for this review. However, the great folks over at Tasty Bite sent a box of their products to try at no cost to me. It's that time of the month, NO not that, Thank God. 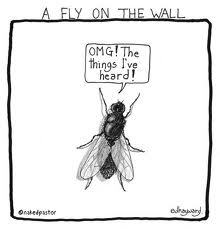 But time for "Fly on the Wall" a time when you get to take a peek into my life/house/outings. Seriously, I looked in the fridge, saw all the vegetables that were a week or more old, still good, but needing to be used. 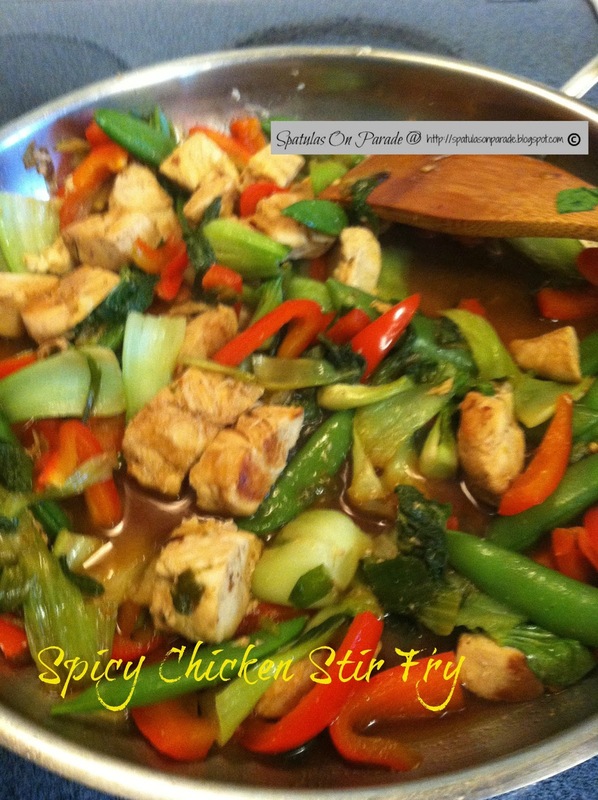 So what better way than a stir fry. Another great thing about a stir fry, you can load up on vegetables, use less meat and your husband will not complain. shhh don't tell. I like it simple so, I pan saute the chicken, toss in the vegetables, add a couple of tablespoons of water so it will sweat the veggies. Then add the sauce, cook for about 5 minutes. I like my veggies to still have some crunch. For my mom's birthday we went and spent two days with her, she keeps my grand daughter...yep, you know where this is going. She runs out and proceeds to dance in the front yard. Looks at me and says "you can't sing and dance, you not wearin ah dwess"
Points to my husband and says, "what him doing"
"Hey Hey Hey, you know what. I'm 2 and 1/2"
Yes, you'll be 3 next month. "NO I'm 2 and 1/2"
"I'm gonna half a can-null cake"
You mean a cake with candles? Yes and they are mine so don't touch. "My mommy gots big'uns too"
"Why you no got games on you phone?" Because it is a phone. 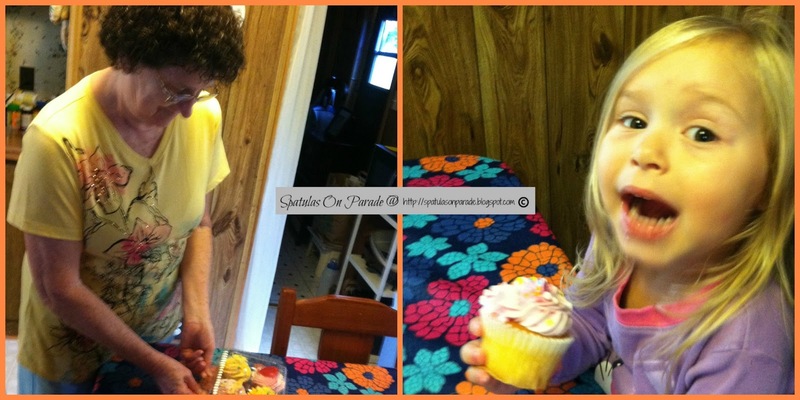 "YEEEAAHHH and you need games, get me one"
Takes my face in her hands and says "You pose to share"
I go in my moms house early on her birthday with cupcakes. Miss Sassy Pants says " I wanna cuppa cake"
Well, did you eat breakfast? Okay, if Gramma says you can. My mom on her 68th birthday opening her cupcakes and on the right, Miss Sassy Pants "I got a cuppa cake"
I love smoothies and drink them often. Sometimes for breakfast but mostly in the afternoons. A few weeks ago I was not feeling well and channel surfing on the television. It was afternoon so mostly junk was on. I found Dr. Oz and thought, why not. He was talking about cravings and how to help keep them at bay. That was something I had really been struggling with. So it caught my attention. He was saying that using pea powder protein each day would help curb the cravings. I looked it up and it seems that not only is it a great source of vegan protein, those with sensitive digestion system, like me, could benefit from it. So I ordered some. I have been using it in my smoothies. Now I'll be honest, you DON'T want to drink this in water or in juice as he suggested. YUCK it is very soft chalky powder and does taste like peas. Not green peas. More bean taste. BUT by putting it in a smoothie it isn't so bad. 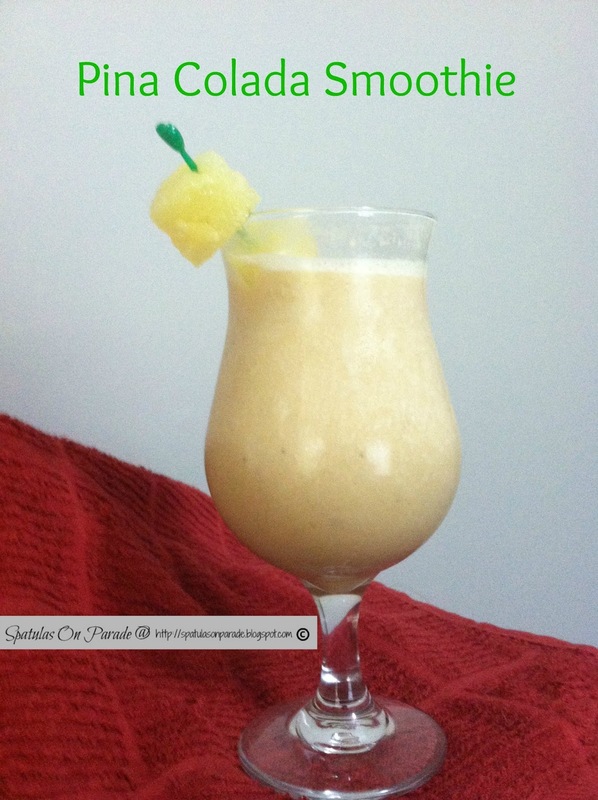 The stronger the flavor of smoothie the less you can taste the powder. I have experimented with different flavors, it works great in strawberry and is pretty good in this one. Plus this one is loaded with potassium, Vitamin C, B1, B6 and amino acids. With the different immune issues that I have, these vitamins are very important for me and they help me greatly. Place all these items in your blender or Vita-Mix and blitz well. This makes 2 servings. I drink one when I make it and store the other in a Ball freezer cup. The next day I take it out and by mid morning it is ready to consume. Shake and drink. 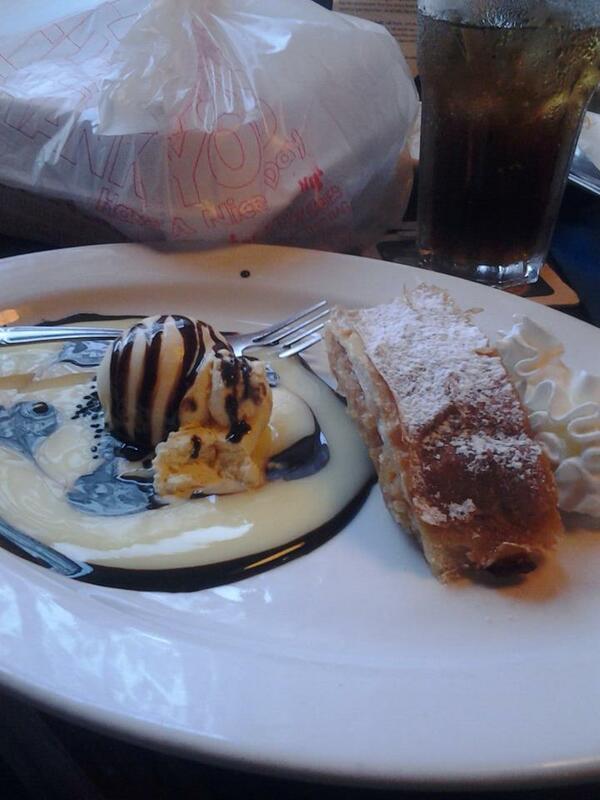 Remember last Wednesday I had a post about Germany and lots of yummy food? No?! Oh gosh, you missed it? 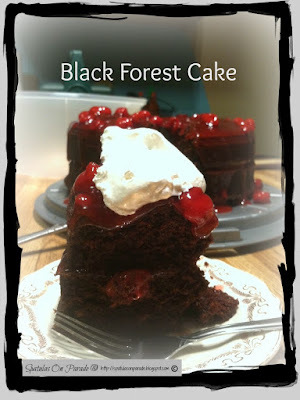 Well, if you visit this LINK you can read all about it and see the delicious recipes. Also, last year and earlier this year Jutta from Hungry Little Girl and I were swapping holiday traditions, photos and recipes. Since she is from Germany you might be interested and those as well. 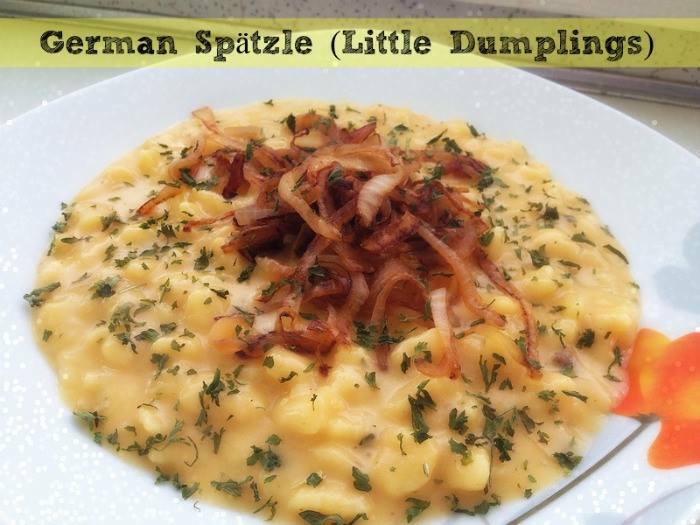 Today I'm sharing more German food. 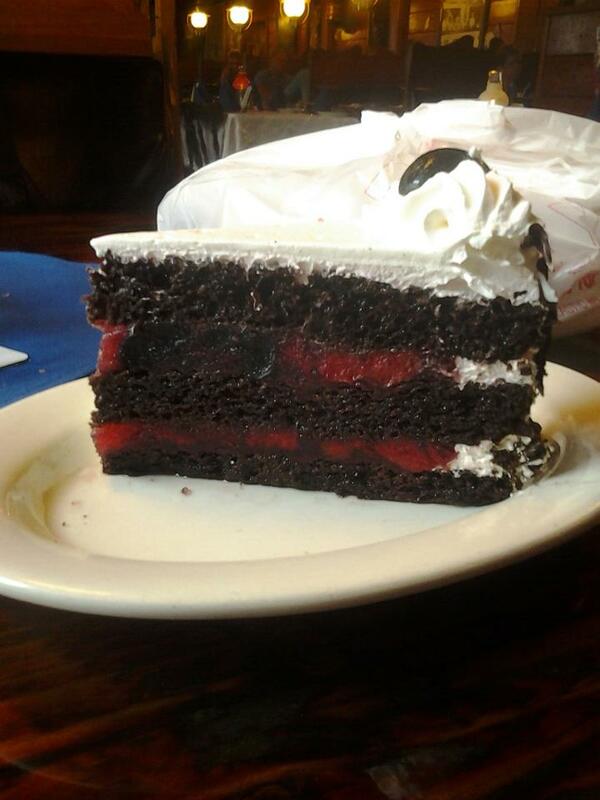 Here is a photo of the cake that I ate last year this time in a German restaurant in Florida called The Old Heildeberg. OH MAN I Love that place. Also, some photos of the restaurant inside and out. NOW, that I've showed you all that. How about my recipe for today? Traditional this cake has coffee inside the batter and the baked cake is soaked in a cherry liquor. 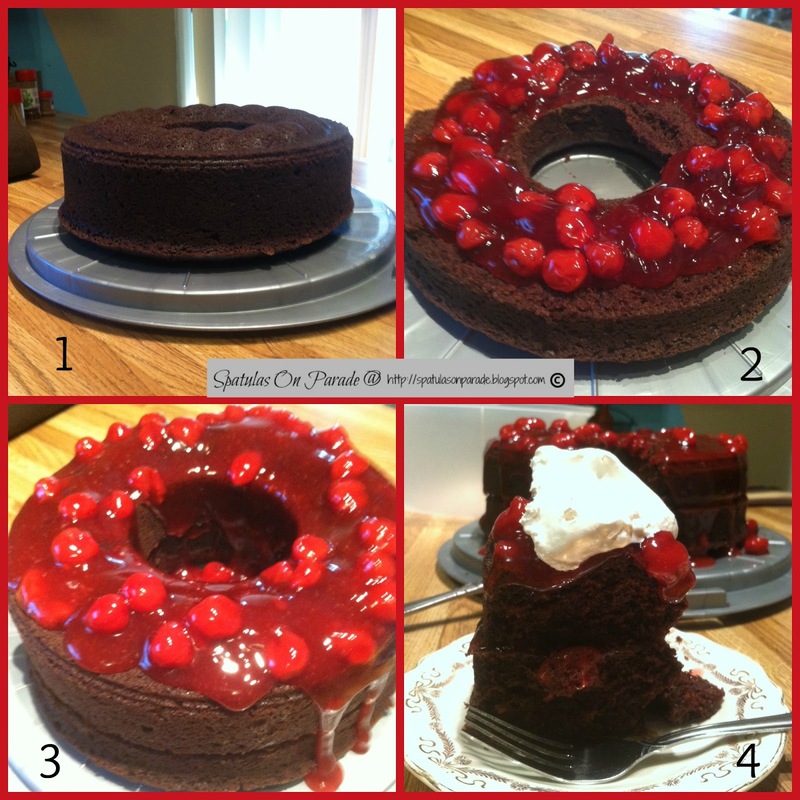 The cake can be baked in 2 9 inch rounds but I like the shape of the bundt so that is what I use. Grease the pan. Preheat your oven to 350 degrees. In a bowl mix all your dry ingredients. Mix well. In a separate bowl mix the mayo and water. Beat until creamy. Add the dry to the wet and slowly stir enough to incorporate it all but do NOT over beat. Bake bundt for 50 minutes. 2 9 inch will take 30 minutes. Cut in half if you used a bundt. Spread 3/4 of the can of cherries on the layer. (photo 2) Place the top back on.